Asbestos Removal Through the use of asbestos testing and surveys, we are able to get this dangerous substance out of your home or office and make sure that no traces are left behind. Commercial Asbestos Whether inside of a school, office building or retail establishment, asbestos needs to be removed quickly and effectively in order to keep your business up to code. Demolition Service By bringing in the professionals at A. Mac, you can ensure that your building will be demolished safely & that any asbestos will be removed from the site. Asbestos Surveys Our trained and skilled asbestos removal contractors will find any trouble spots and either seal off the areas or extract this dangerous mineral from the premises. 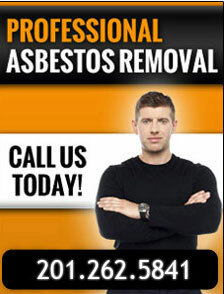 Some time ago, many never thought about asbestos remediation in NJ and NY. Asbestos was a great insulator with admirable features of durability and fire resistance. As a result, it became a darling to every homeowner who wanted to have the perfect insulation for their homes. However, asbestos causes a myriad of respiratory diseases such as lung cancer, asbestosis and mesothelioma. Asbestos remediation in NJ and NY is thus a matter of necessity rather than a convenience to save you from suffering from these and other deadly health effects. With all the risks involved in asbestos remediation in NJ and NY, it calls for skilled and competent professionals with impeccable records of offering healthy and viable environmental solutions. At A. Mac Contracting, we have been offering asbestos remediation in NJ and NY for over two decades hence, we have the skills, experience and tools necessary to ensure safe asbestos remediation in NJ and NY. We have the versatility to conduct efficient asbestos remediation in NJ and NY from structures such as residential homes, government offices, restaurants, retail complexes and military installation amongst others. In addition to offering asbestos remediation in NJ and NY, we also offer other related services such as asbestos surveys and testing, demolitions, mold remediation, environmental services and asbestos removal amongst others. Though asbestos hasn’t been in use since it was banned in 1978, there are still very many buildings that use asbestos in their ceilings as insulation, hence the need for urgent asbestos remediation in NJ and NY. With the assistance of our experts, we will help you determine if you have any asbestos within your structures and probably benefit from our asbestos remediation in NJ and NY services. Do not hesitate to call us for asbestos remediation in NJ and NY if you suspect that your home still uses this lethal insulation. We will help you get rid of it so that you can enjoy living in your structures without worrying how it feels to suffer from lung cancer due to inhaling asbestos for a long time.